← Matt Forcella gets interviewed by EPM! 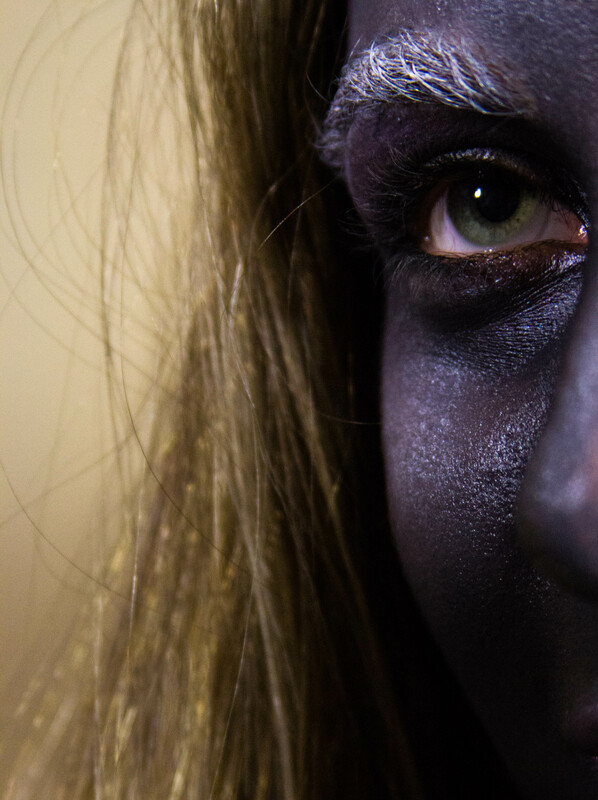 At your request, we have put together a tutorial for the Drow makeup test we did for the One Die Short character Thelema. We didn’t get as much footage as we would have liked because we weren’t anticipating creating a tutorial, so some of the instructions might not match up exactly with what’s going on in the video. You should still be able to get all the help you need to recreate the makeup. Enjoy! Photo Editing by Ilana Urman. A pre-touched version (without the white hair). This entry was posted in dungeons & dragons, roleplaying, web series, web show and tagged cosplay, dark elf, dnd, drow, dungeons & dragons, female, film, girl, makeup, night elf, roleplaying, web series, woman. Bookmark the permalink. LOVE this! Thanks so much for posting up a video and cannot wait for the web series! Wow, that turned out really nice. Good job! Nothing like Señor Chang on that one episode of Community, fortunately. Thanks very much! (Not that I can take the credit, that was all our makeup woman). I hope you enjoy the series as much ad the makeup!